There is no such thing as too much knowledge. If you would like to expand your horizons, but don’t have the time to read, Blinkist’s non-fiction book summaries are a speedy and convenient way of learning. The platform offers over one thousand carefully selected books, written by the brightest minds around — Horowitz, Cialdini, Hsieh, etc. In each case, the book is condensed into a 15-minute summary, focusing on the key points of the text. This streamlining means you can pick up the same information in a fraction of the reading time. Alternatively, you can listen to the summaries as audiobooks. As you read, you can store summaries offline, and highlight areas of interest. You can also send snippets to your Evernote account for safekeeping, and put summaries on your Kindle for eye-friendly reading. 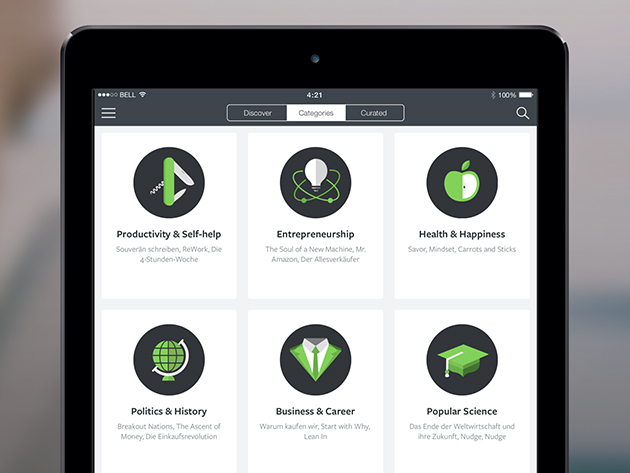 The service is available on desktop, iOS, and Android, and 40 new titles are added each month. TNW Deals is currently offering a one-year subscription for $29.99, which is 62 percent off the regular price.